An amazing show as born. I’ve been watching Fringe lately, trying to finish up season 2 before November so that I won’t have that as a distraction when the time for NaNoWriMo comes and I’ve once again realized that it’s most probably one of the best shows Out There at the moment. I was a big X-Files fan in my time (still am actually, lol) and I feared that Fringe would be a weak attempt at copying the paranormal story line which rocketed X-Files to fame. Also, because I have a fairly short attention span when it comes to watching television, I never got round to watching the episodes when they were broadcasted. It was only when I finally managed to procure the first two seasons (for my Other Half, not for me) that I finally crossed over and saw the other side. 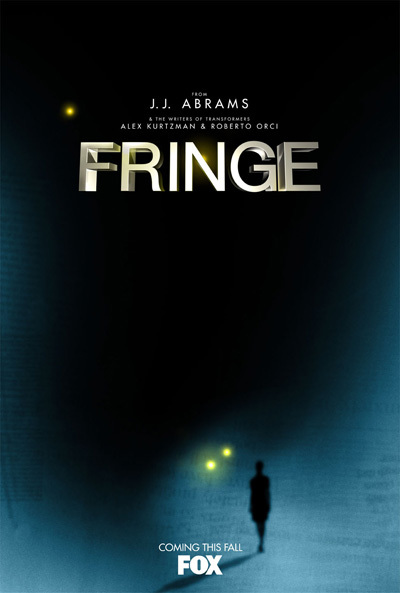 Fringe is amazing. There’s no other way to put it. They’ve put a new twist on old theories and they’ve taken the X-Files ‘How the Hell? !’ factor and explained it without getting too technical. I liked the fact that Aliens have not been mentioned once and the actors are brilliant. The characters are not over done, the actors suited in their roles, the emotions between the characters believable and scenery and music beautiful. It’s very rare that I find myself liking all the main characters of a series and it’s with touch of surprise that I confess I have not found fault with anybody that have graced the Fringe Cast (save for that guy who got… Toast…). What I also like is that the story line is well thought out. Sometimes you find that certain series will show inconsistencies when it comes to their baseline theory and groundwork but with Fringe, it’s as if the whole story had already been planned and they stuck to the plot all the way through. The symbols that they show you become significant later. Nothing is random. It’s all part of the pattern of the show which is fitting, because the main focus of the series is The Pattern between universes. If anybody reading this have never seen an episode, I can highly recommend it. This show keeps surprising me and I can say honestly that I can’t WAITE for the third season. Previous Article Understand your Rhythm. Next Article The Last Bit of Longest Road.